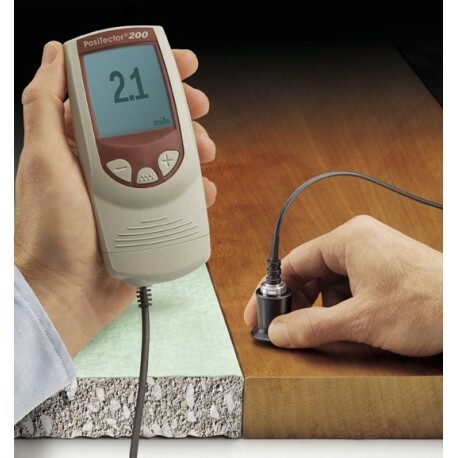 These COATING THICKNESS GAUGES FOR NONMETAL MATERIALS non-destructively measure coating thickness over wood, concrete, plastics, composites and more using proven ultrasound technology. Select standard or advanced model: advanced models measure up to 3 individual layer thicknesses in a multi-layer system and features a graphic readout for detailed analysis of the coating system. Proven non-destructive ultrasonic technique conforms to ASTM D6132 and ISO 2808 and SSPC PA9 . STANDARD MODELS - Measure the total thickness of a coating system. 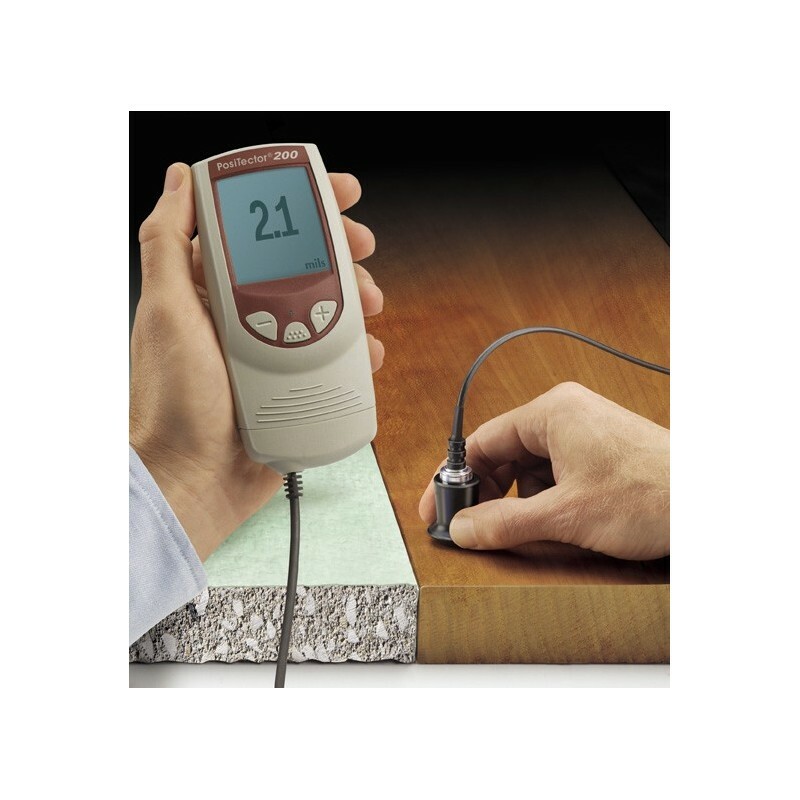 Measure total thickness of a coating system or up to 3 individual layer thicknesses in a multi-layer system. Also features graphic readout for detailed analysis of the coating system. Probe, precision plastic shims, protective rubber holster with belt clip, couplant, 3 AAA batteries, instructions, nylon carrying case with shoulder strap, Certificate of Calibration traceable to NIST, two (2) year warranty. Standard, for polymer coatings on wood, plastic, composites, etc. Standard, for thicker coatings on concrete, fiberglass, etc. Advanced, for polymer coatings on wood, plastic, composites, etc. Advanced, for thicker coatings on concrete, fiberglass, etc.